An original right-hand drive model, the Dino 246 GTS was delivered new in November 1972 to Maranello Concessionaires, the UK’s official Ferrari importer. Chassis #04634 was originally finished in Verde Germoglio with black leather interior, and is believed to be one of only 17 right-hand drive examples finished in green. 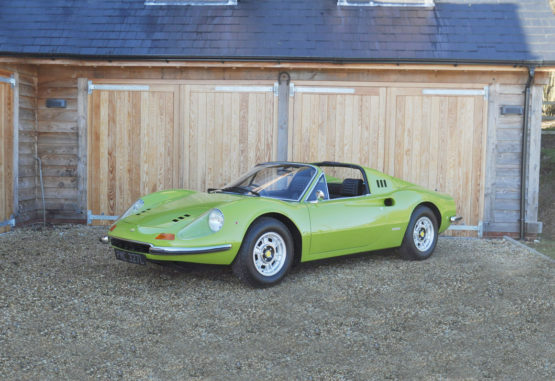 Sold to the Bradshaw Webb & Co dealership in London in November 1972, the Dino was first owned by one T Connor of Harrow, Middlesex. 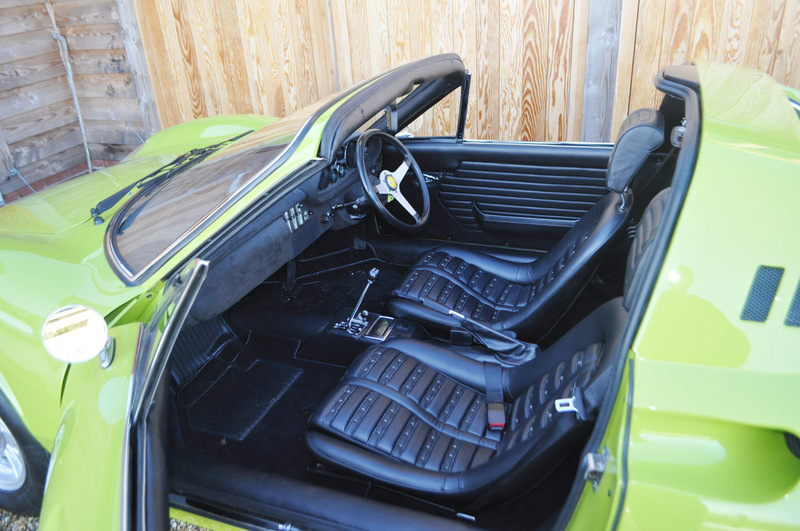 Later in the 1970s, the Ferrari was sold to Mr J Hill in London, and around this time was registered as PMC 327L. The next known owner was W J Nash of Norwood Green, London, followed by Michael Wells from May 1996 to 2006, and there are many invoices from Fosker’s for servicing relating to Mr Wells’ period of ownership. In 2009 the Ferrari was exported to Selangor, Malaysia, where it was serviced by Douglas Garage, Subang Jaya, Selangor, as evidenced by various invoices on file. The car was brought back to the UK in 2015 and serviced by Fosker’s for a Mr Chris Bucknall (invoice on file). In 2017 the Dino was restored and re-sprayed in its original Verde Germoglio livery by Hexagon of Highgate, with new black leather interior trim by Luppi, Italy. Fully serviced and freshly MoT’d in readiness for sale, it is presented in beautiful condition and ready to enjoy. The car comes with a leather book pack, two handbooks, two keys, and a most substantial history file containing a Massini Report, the original purchase invoice, numerous bills, expired MoTs, and a V5C Registration Certificate. 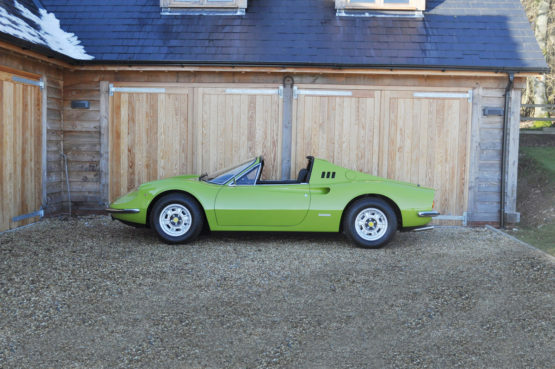 Benefiting from recent extensive refurbishment, this beautiful Dino has to be one of the very best currently available.